Hermes is a French high-fashion luxury goods manufacturer, where consumers can shop from a variety of leather goods, lifestyle accessories, jewellery, clothing, and more. With Big Apple Buddy’s personal shopping service, you can now buy direct from the Hermes online store anytime, anywhere. At the USA Hermes online store, you can shop from a variety of both casual and very formal options. Men will find a vast selection of ties available for them--whether they're in the market for something printed, solid, or anything in between. At the USA online store, you can shop specifically according to the color of tie, which is great if you are looking to match it with a particular shirt or outfit. The Le Premier Jour comes in the classic Hermes orange color and is printed with small sea animals, which is only noticeable once seen up close. This tie is a great mix between professional and fun--it's a great accessory to sport during the summer months if you have any formal occasion that takes place by a beach! Explore the other tie options at the USA Hermes online store-- no matter what you're looking for, there will be plenty of options to browse from! 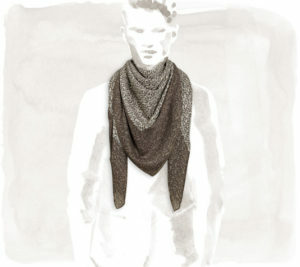 If you're looking for an accessory that will keep you a bit warmer, the USA Hermes online store also has a variety of scarf styles and colors. The Naoussa is a scarf made of wool and silk, which gives it a beautiful texture that is both soft and smooth while still thick enough to keep you warm. However, the scarf is still lightweight enough to be able to wear when the weather is a bit warmer out -- it's a versatile piece that can take you through the seasons depending on how you wear it! There are four different color options available for this style scarf, so browse the website and choose which one you like best! At the USA Hermes online store, you have the ability to design and customize your very own Hermes belt kit. You can choose between silver or gold metal and have the option of four different unique belt buckles and what color leather you want. 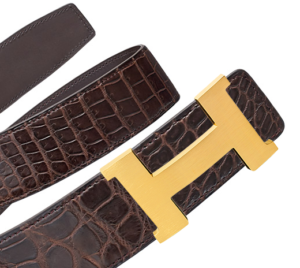 This belt kit features one of the classic Hermes belt buckles (called Constance 2) in gold with havana colored leather. The options are really endless, so check out the website today and play around with different options before you find the best one for you! These belt kits also make a great special and personalized gift. Unfortunately, the USA Hermes online store does not currently offer international shipping. However, Big Apple Buddy, your personal shopper, can help you buy products direct from the official USA Hermes online store and ship them to your doorstep, no matter where you are in the world. If you would like to buy from the USA Hermes online store, simply let us know which items you would like to order (by filling out the form below) and we’ll get back to you with a free international shipping quote within 24 hours!